Taxi businesses faced a major threat from online taxi aggregator companies in the recent past. Though different state governments follow varying policies towards taxi aggregators, they largely go by the Indian Motor Vehicles Act of 1988. In some countries, the federal government has given the local government the authority to regulate taxi services-with variations in the chain of command depending on the system of government. The appearance of cutting edge advances and changing economic situations require a reassessment of the state control of taxicabs. This paper particularly looks at the Indian context of taxi regulation and the laws with special reference to Kerala. The objective of this research paper is to examine the regulatory barriers in taxi services which was until recently availed by the upper middle class and social elites. It studies the reasons for treating taxis as a public good from the perspective of Indian Motor Vehicle Act. The study looks into the various regulatory policies applicable to taxi regulations in India- quantity regulation, quality regulation, price aspect and market conduct regulation. The quality aspect poses a direct barrier to the entry of players into the market, which is governed by a central act-Motor Vehicles Act of 1939. The act serves as an advisory to states in regulating motor transport. As per the act, vehicles can be registered as stage carriage, contract carriage, goods carriage and private service vehicle. Quality regulation includes specifying standards relating to the vehicle, the driver and the operator to ensure safety and quality of taxi services. Motor Vehicles Act enables State Transport Authorities (STA)/Road Transport Authority (RTA) to prescribe conditions on issuance of taxi permits, number of passengers, maximum weight carried, etc. The MVA of 1988 allows the state government to fix maximum and minimum fares for all contract carriages. In Kerala, fare regulation is applicable for all contract carriages having an engine capacity less than 1500cc. Market conduct regulation aims at maintaining market order and preventing competition in the industry. The local taxi, radio taxi and cab aggregator’s regulations differ in terms of ownership, mode of access, fares and services of operation. 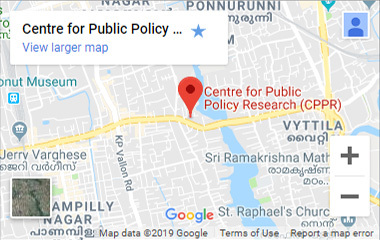 As a case study, the author looks into the policy framework related to Kerala and how it evolved. Taxi regulation in India emerged from the Hackney Carriage Regulation passed in 1913. Motor cabs regulation started from 1940s through taxi permits and then gradually evolved over years. The government is motivated by the desire to serve the public by ensuring quality control and preventing undesirable market outcomes. However, the Kerala government did not make it mandatory to exhibit fares in taxis till 1962 due to memorandums. The government was a mediator between trade unions and the public in fare regulation. Since the government started fixing the fare, it was obligated to ensure profit for the industry. The cab aggregators are able to charge less for the same ride as compared to government regulated taxis, which proved that there could be market driven systems that are outliers to the regulatory framework of government. Regulation has led to stagnation in the quality of taxi services whereas the non- regulated market ensured competition which forced operators to improve their services. Last mile connectivity was also an issue as the existing (regulated) taxis were inaccessible, which was a major reason for people to shift to private vehicles in the past. The study concludes that the century old regulations existing in the taxi industry failed to assure the optimal performance of the sector. Stakeholders need to lift regulations and reach out to other sectors to attain full potential. Government policy must enable innovation and restrict monopoly in the market.